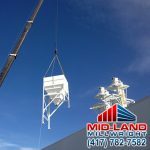 For nearly 20 years, Mid-Land Millwright has delivered quality Millwright services to Southwest Missouri, performing the machining, fitting, and construction of a versatile range of products and structures. 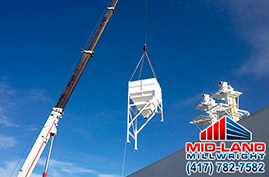 Along with our sister company Mid-land Building, we have become a trusted and powerful partner in the industry. 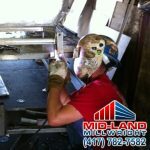 Mid-Land Millwright pledges to provide quality work with skilled craftsman. We promise to be Safety Driven, consistent, proficient and available. 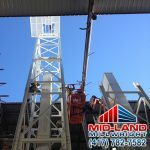 Mid-Land’s skilled Millwright Craftsmen remove, replace, relocate or install any piece of equipment or machinery with precision and utmost safety in mind. 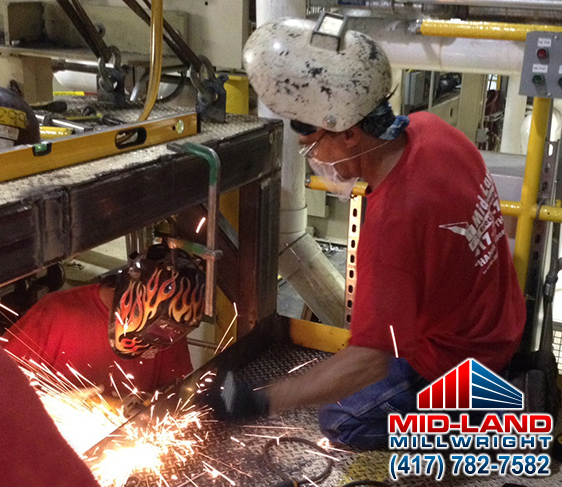 Mid-Land stands ready to quickly perform maintenance, repairs or modifications for your equipment or machinery when you need it. Fleet of Boom Trucks up to 23.5 tons to make equip sets, light poles, fly trusses, set A/C Unties and more. 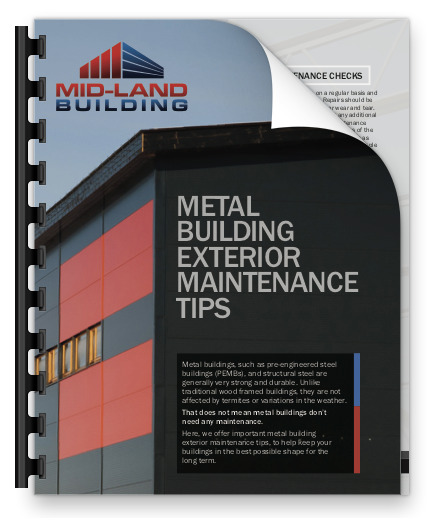 When the job is too complicated or risky for in-house maintenance, Mid-Land provides the ability to handle those complicated maintenance tasks. 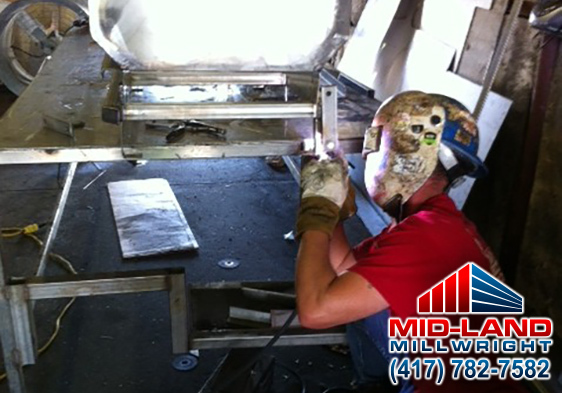 Our Millwrights read Diagrams, Schematics, drawings and service manuals to determine work procedures and scopes of work. Our precision millwrights fit bearings align gears and shafts along with attaching and aligning motors. Comprehend and troubleshoot downtime situations. 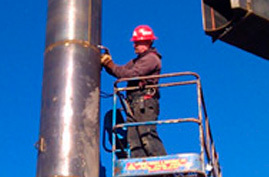 Install, dismantle and rebuild precision equipment such as pumps, extruders and turbines. In-house preventative maintenance. 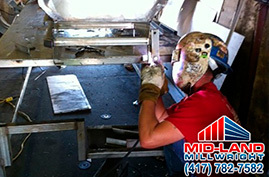 Our certified welding AWS 6G welders perform quality machinery welding. 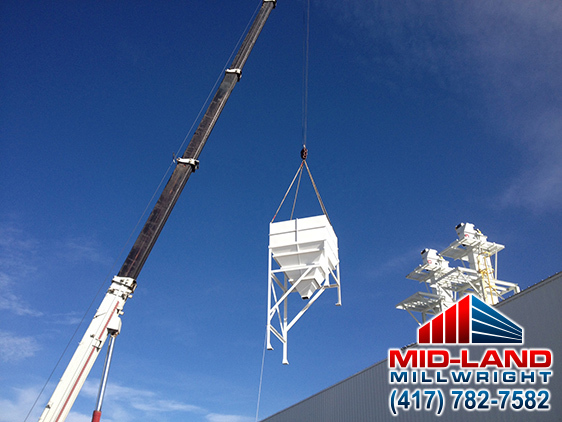 We can install all positions for stainless steel, aluminum and mild steel for industrial and food processing needs. 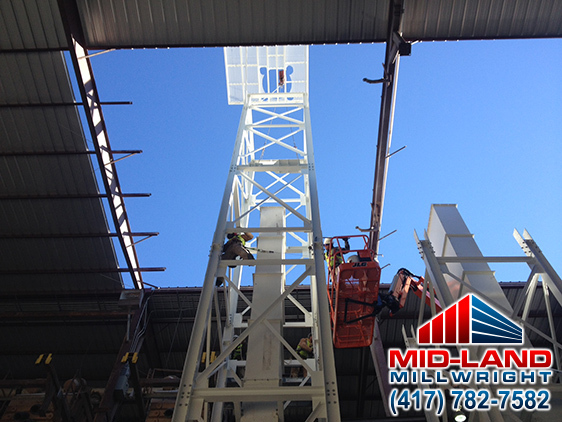 Because our tasks are different every day our millwrights think outside the box. 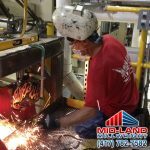 Providing full-service fabrication and machining in our machine shop to fulfill any special needs and accomplish the goals at hand. Our state of the art machine shop provides all your machining needs. 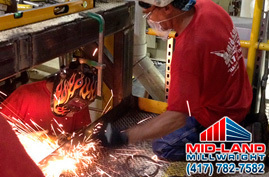 From turning shafts to cutting keyways our millwrights will fulfill any special needs and accomplish the goals at hand. From our hydraulic brakes, shears and punch press we can handle your fabrication. 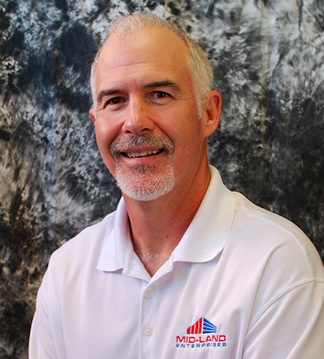 "I have always been impressed with the level of professionalism and willingness of the Mid-Land employees to get the job done safely and in the least amount of time as possible."